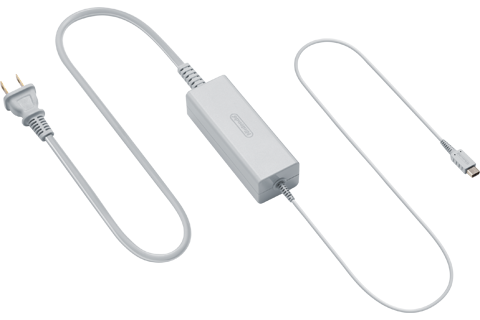 This AC Adapter is the same as the one included with every Nintendo Wii U™ GamePad. It is used to recharge the internal rechargeable battery or it can be used as a direct power source. If your Wii U GamePad is not charging properly, we recommend following our troubleshooting steps before deciding upon replacement.